Some crimes are not meant to be solved. Or written about. True crime writer Ellison Oswalt (Ethan Hawke) is attempting to reignite his floundering career; it has been 10 years since he’s had a bona fide hit. Hoping to draw inspiration for his latest novel, Oswalt moves his family into a home in which a terrible crime that he is researching took place. Immediately, mysterious snuff films turn up in the attic that give additional insight into this matter. Turns out that a series of grisly crimes have been committed within decades of each other, having similar connections. The connection is all is a vague face and ominous symbol that appears in each film. Something isn’t right here, and unwittingly, Ellison may have stumbled into a timeline from which he and his loved ones cannot escape from. An opening scene can be so powerful, so effective in setting the tone for the rest of the movie, especially in the horror genre. 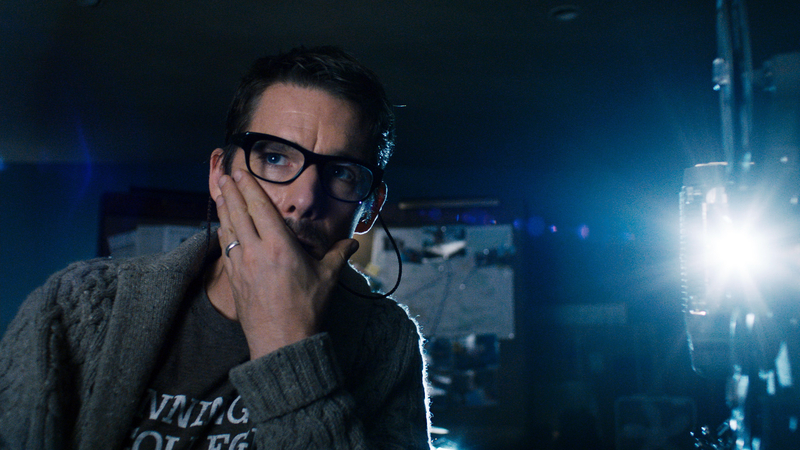 From the get-go, Sinister sets up an eerie tone with its unforgettable opener. It’s a tone that’s present in just about every moment of the movie. In other words, it does its job as a horror, to a really exceptional level. 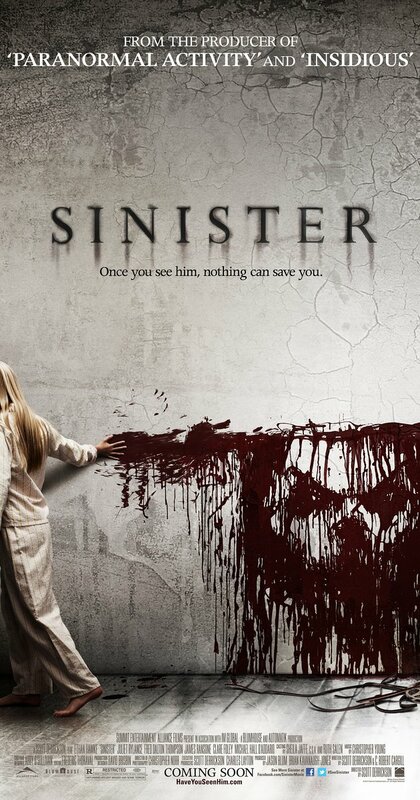 Directed by Scott Derickson (The Exorcism of Emily Rose), Sinister is a very tight looking film. Obviously, the standout from a technical perspective are the snuff videos, each being as unnerving as the one that preceded it, if not more so. The violence is implied, not explicit, and the effect is stronger because of it. As a whole, Derrickson definitely subscribes to the less is more approach. Yes, there are cheap scares, and a particular moment with ghastly children is more eye-rolling than frightening, but a fair amount of them are actually legitimate, instead of the “loud noise made by a cat” variety. Despite the bulk of the runtime taking place in some type of dimly lit home, I’d hesitate to use the word “claustrophobic.” There’s no “confinement” per se, but Derrickson makes the viewer wish there were, only because there are so many avenues to which the horror can infiltrate into. Sound design and score are superb. Both only better the feature. Derrickson not only directs Sinister, he also writes it, and he manages to make a pretty compelling mystery all in all. The mystery doesn’t really lie in what’s going to happen, but rather, how. While the end result can possibly be too predictable (and certainly a tad rushed) for some, I personally find the ending to be extremely effective and frightening. Sometimes, the predictable ending is the best one. Derrickson does a good job with the plot, but does an even better job with the characters. Granted, none except Hawke are layered, but they aren’t cliched, either. Hawke turns in a truly committed performance that gets more and more unhinged as the plot gets…more sinister. His character may lack a little common sense, but Elliott is not without reason for doing what he does, even if it is very very misguided reason. The rest of his family is perfectly solid; those who play the kids aren’t annoying kids in horror who can’t act, and the wife, unremarkable on her own, has a few compelling scenes with Ethan. Two supporting characters in particular standout in this horrific tale aside from Hawke. Vincent D’Onofrio has probably less than five minutes total, and though he’s relegated to exposition, he manages to be somewhat more than an information dump. It’s James Ransone as “Deputy So and So,” however, who balances the delivery of information with being an interesting character one doesn’t know what to make of, while bringing a little humor that doesn’t undermine the movie. Much like the image Ellison gets exposed to, Sinister stays in the head of the viewer long after viewing. Easily one of the best horror films of the decade. Photo credits go to imdb.com, inquisitr.com, theathleticnerd.com, and usatoday.com. Dude, this has been a fairly good year for horror with The Conjuring 2, The Shallows, Don’t Breathe, Lights Out, and Green Room. Not all of those are pure horror movies but all have mild to major elements of them. Sinister might just be one of my favorite horrors ever. Watched before but appreciated it even more on this most recent watch. The Shallows was probably my fave of the year followed by C2 and Don’t Breathe. Haven’t seen Green Room yet but it should show up in On Demand soon. I like this one too. I found it to be creepy and a bit disturbing. I also appreciate Hawke’s performance. A warning though – Sinister 2 is pretty terrible. 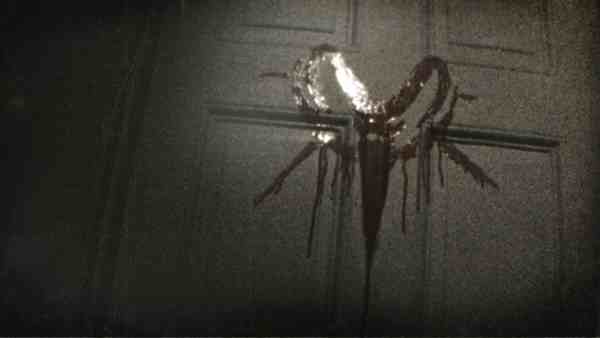 I’m hoping to catch Sinister 2 on TV one day. Heard that it is pretty terrible, sadly. It is which is unfortunate. The first film creates a pretty interesting foundation. Too bad the second movie couldn’t build on it. This movie absolutely terrified me. You’re right about the opening, it really did set the scene for one eerie film. I very much think it is easily one of the best this decade (not sure if that says more about this decade or its quality), but I think it says more about its quality. This is a great horror. That’s the truth right there!